Fort Leavenworth Ethics Symposium | Command and General Staff College Foundation, Inc. The 2019 Fort Leavenworth Ethics Symposium will be conducted March 25, 2019. Recent history and global politics has seen the possibility of major nation state conflicts escalate. In response, FM 3.0 now focuses on Large Scale Combat Operations (LSCO). We must begin the challenging process of thinking deeply and critically about the ethical implications and concerns of such operations. Our Program: CGSC issued a call for unpublished papers for the symposium in fall 2018. The deadline for abstracts was Jan. 3, 2019 and selection of papers to be presented will be completed Jan. 30. (Download the detailed Call for Papers.) Selected presenters will be asked to facilitate lively discussions about their work. This will be an unclassified symposium. Registration: The CGSC Foundation operates a registration site linked to this page for non-CGSC affiliated symposium attendees. 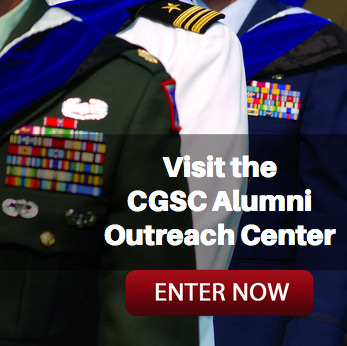 CGSC students and faculty must register separately on an internal registration site. Before beginning the registration process please review the the detailed Program Overview which contains the schedule of panels and breakout sessions available. Click the “Register Now” button below to begin. The Fort Leavenworth Ethics Symposium is an annual symposium co-sponsored and hosted by the U.S. Army Command and General Staff College (CGSC) and the Command and General Staff College Foundation, Inc. Advertisements, promotions, statements, and logos are those of CGSC, the CGSC Foundation, or other organizations participating in this event. 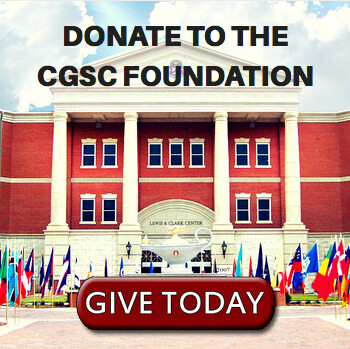 The United States Army neither states nor implies any endorsement, association, or recommendation with regard to the CGSC Foundation. • 2019 Ethics Symposium Schedule (asof20FEB) – Please note that all events are for registered attendees only. Unfortunately we can not accommodate spouses/guests during the symposium. • 2019 Ethics Symposium Program Overview (asof25MAR) – Includes panel and breakout session summaries, guest speaker and panel member biographies and other details.